When most people think about the month of April, they think about the start of baseball season, the Boston Marathon – even spring showers bringing May flowers. Financial literacy isn’t usually top of mind. But, Maine’s credit unions are working to change that. 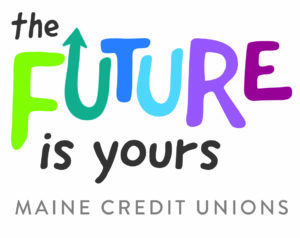 April is National Credit Union Youth Month and National Financial Literacy Month. Credit unions are always working to help consumers make smarter financial decisions, but during the month of April, credit unions will be putting extra focus on helping youth sharpen their money management skills. Twelve Financial Fitness Fairs have been scheduled this month at high schools across Maine and more could be added to the calendar before April is over. The League’s Financial Outreach Coordinator Jake Holmes also will be meeting with kindergarteners at Hollis Elementary School to encourage them to start talking about money early. To see if a financial fitness fair is being held at a high school near you, visit the League’s website to review the schedule. A handful of Fairs will occur in May before the school year ends. Let your members and the youth in your communities know what you are doing to promote financial literacy this month. Share your stories on your websites and on social media. And, don’t forget to use the hashtag, #CUYouthMonth.